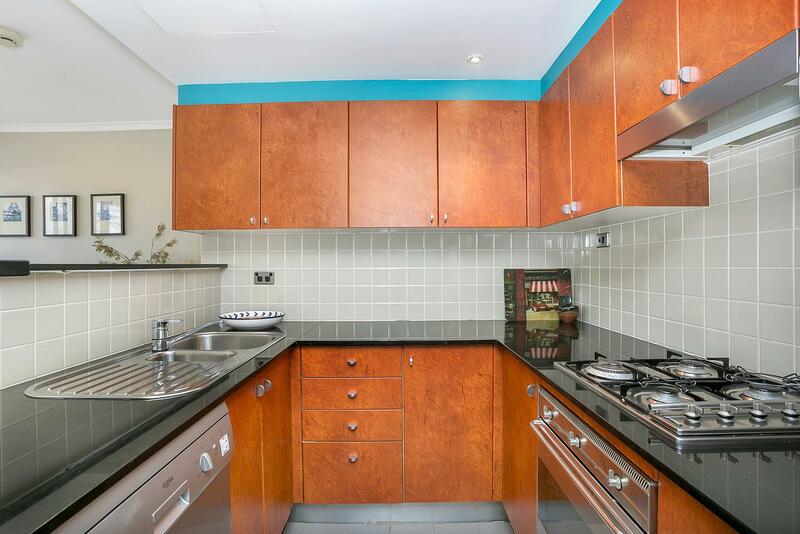 Superb 1-bedroom apartment in central location includes unlimited WIFI - making it ideal for a business person! 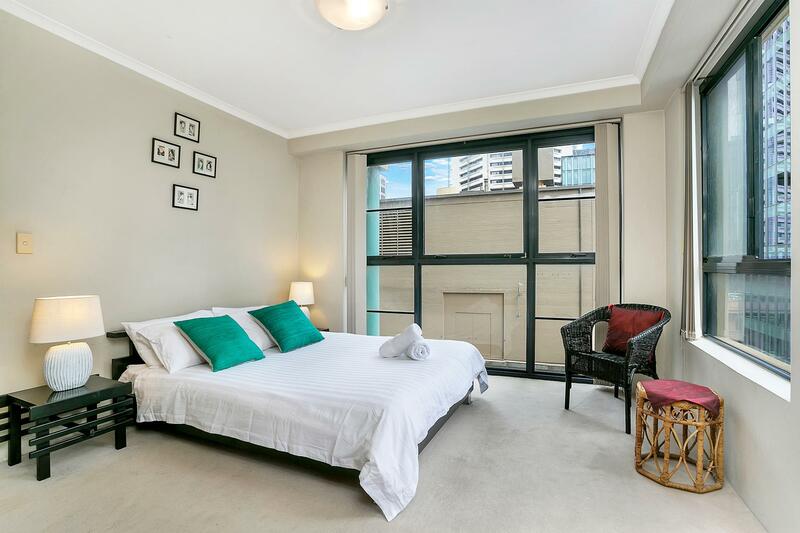 Good, comfortable apartment in the centre of the CBD which was the standout part of this stay. Also great comfortable bed! Liked the internal laundry - wager and dryer after traveling for weeks. My wife and I stayed in A1803 by The Apartment Services in the Central Business District of Sydney. The apartment was very nice. I would definitely stay here again. The biggest plus was location. It was central to everything we wanted to do. 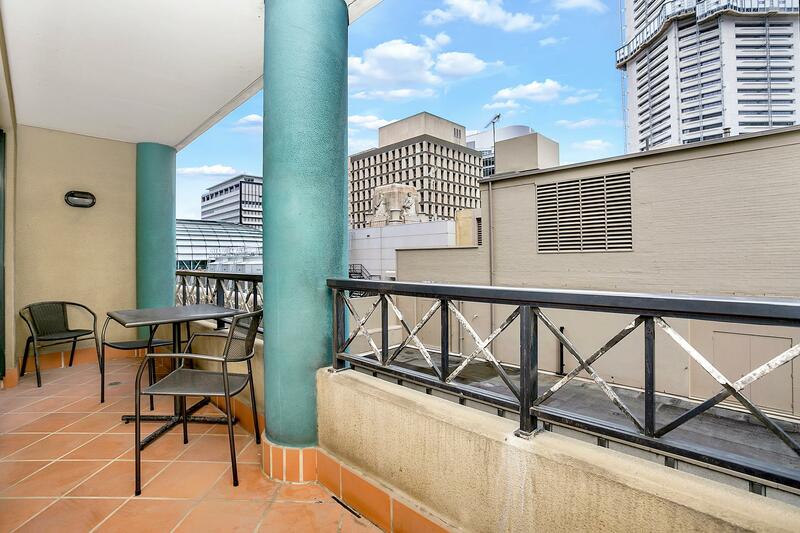 All major Sydney attractions were within walking distance with three train stops nearby. A large grocery was half block away. The building had a secure entry and it was quiet on the 18th floor. The apartment was spacious for two. The pool looked nice but the weather was too cool for us to use in April. We did use the washer and dryer before departing on our cruise (we walked with wheeled suitcases to the cruiseport). The queen bed was functional enough, but could be improved. Also, the carpet needed a deep cleaning and a few hours of handyman attention would quickly address burned light bulbs, loose trim strips, and launder dirty placemats. There were dishes and cooking pots for four persons. WIFI was excellent. Numerous eating places and bank ATMs were found within a few blocks. I had easily booked the apartment through Trip Advisor, although had some email trouble initially establishing direct contact with The Apartment Service. They were very quick to respond via the personal inbox on TA and the eventual key exchange and entry to the apartment went seamlessly. We texted the manager when we cleared customs. He met us when our taxi arrived at the front door. The security deposit was steep, was refunded promptly enough, but caused nasty conversion exchanges both directions. 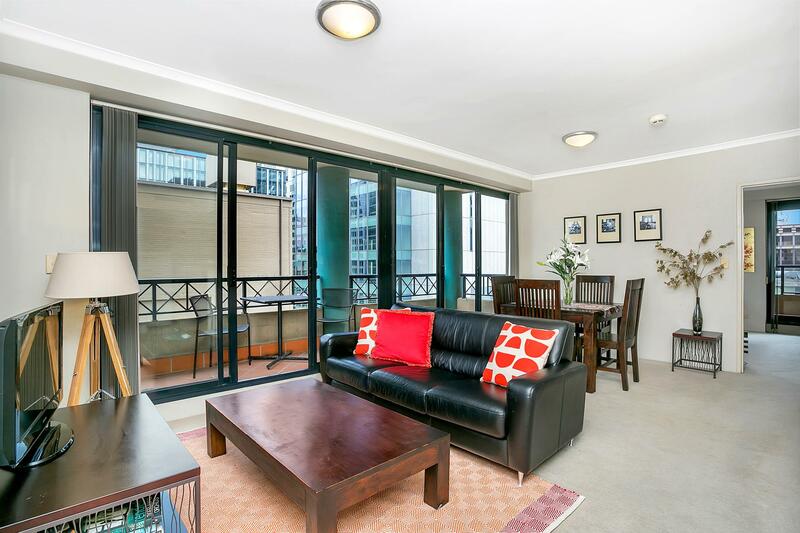 The apartment is in an amazing location - basically everything is within walking distance. The apartment is clean and everything works as expected. Only small issue was collecting the keys - we were advised to use a separate car service to drop off the keys to us (the alternative was a long trip elsewhere to collect them ourselves), and this service bumped up the cost a fair bit. Overall, a great stay! Great central location made it ideal place to stay for Sydney. Apartment very spacious and comfortable. From a location point of view you can't really ask for much better. Everything is easily accessible via walking or public transport. Communication throughout the booking was excellent and I would recommend this place to anyone visiting Sydney for business or pleasure. Thanks for a wonderful stay - Sydney is truly a lovely city! Great communication before our trip. Great location in the centre of it all, close to trains, walking tours, groceries, and local attractions, good space for the price. The baby crib and second set of keys we requested weren't there when we arrived but was delivered right away. Communication was easy while we were there but arrangements for keys was a bit of a hastle I would have preferred not to have. Would stay again. 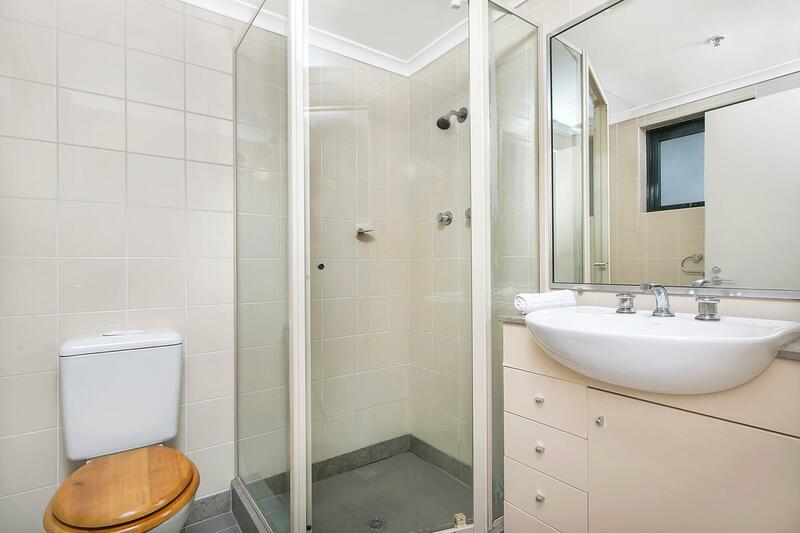 Nice clean and secure apartment in a great location for those wanting Sydney CBD interaction. Keris and Pou made the experience super smooth - they were both responsive and professional. The apt is in an AMAZING location - loved walking to cafés in the morning, and being able to walk home at night after dinner. 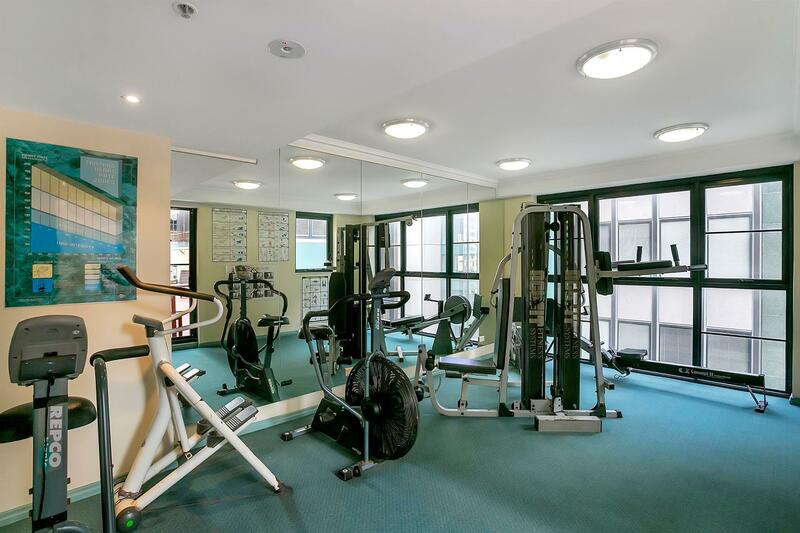 The neighborhood feels safe and the amenities were perfect for our stay. 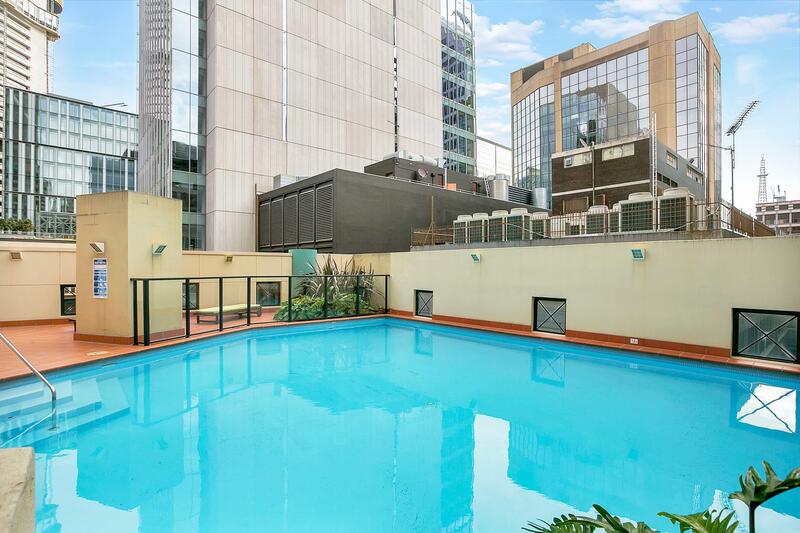 Very conveniently located, literally next door to Martin Place with the necessary amenities suitable for a fortnight long business trip. Apartment is neatly furnished with ample space. Would happily return for future work trips.